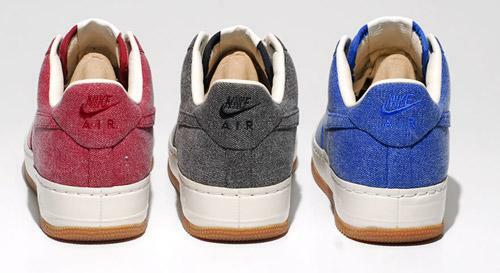 I know everyone has switch their Nike purchases from Air Force 1’s to Dunks, but Nike has been coming strong with some crazy Air Forces in recent months. So it goes as no surprise that Nike will be releasing the Supreme Canvas pack at some point this year (sorry on broad release date). 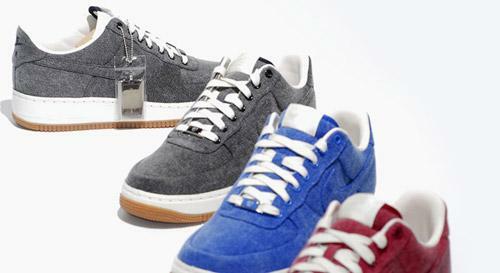 These kicks will be made of chambray, a lightweight fabric woven with white threads across a color wrap, and will come in three solid colors. The white leather midsole sits on a gumsole bottom to complete the package. These will only hit select Nike dealers so keep an eye out. Previous PostPolitics As Usual….Next PostObama? McCain? Nope. MURS for President!